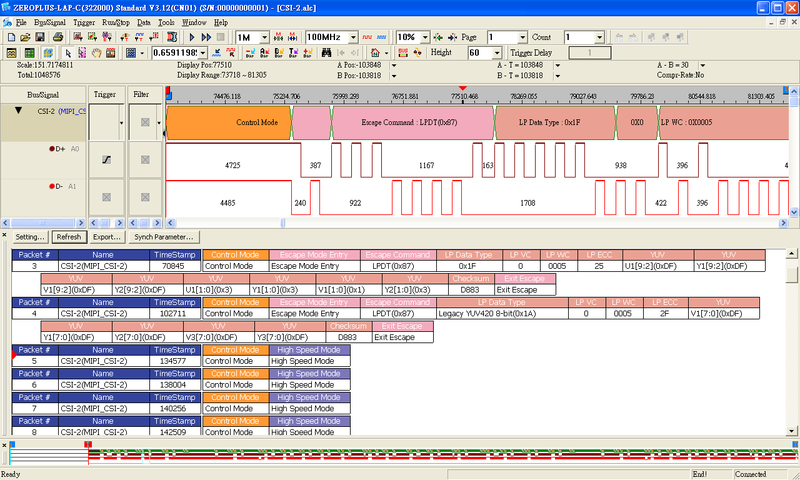 Zeroplus Logic Analyzer supports the function of analyzing Protocol Analyzer AC97. The AC97 is one kind of familiar Message Management Chip; users can find it in the PC or digital audio amplifiers. Because of the function of AC97 is very strong, the relative application scope is also wide. AES/EBU, short for Audio Engineering Society/European Broadcast Union, usually uses Canon (XRL) for connection. It adopts a balanced interface (110Ω); its peak voltage is about 8V, and its transmission distance can reach to hundreds of meters if approriate cable is used. AES is the AES3-1992 Standard: “Serial Transmission Format of Digital Audio Data, Linear Represented by Dual Channel”, EBU is the digital audio interface standard, EBU3250, which defined by EBU. Both of them have the same content, so they are called by a joint name: AES/EBU digital audio interface. DSA Interface is mainly used in the servo control action of music CD ,including play , pause, speed, reback,stop and so forth .The transmission of DSA Interface signal uses the 16bits binary mode to start transmit , the former 8bits is command byte , the latter is data byte . With the development of the science and technology , the transmission of the digital signal gluts our daily life,however,those signals need the corresponding development tools to make engineers successfully finish the development work. For AUX Channel, its speed is 1Mbps in DisplayPort 1.1 but up to 720Mbps in DisplayPort 1.2, so it also is called the Quick Auxiliary Mode. In DisplayPort 1.1, this channel’s main task is to find, and then establish and maintain the DisplayPort connection. 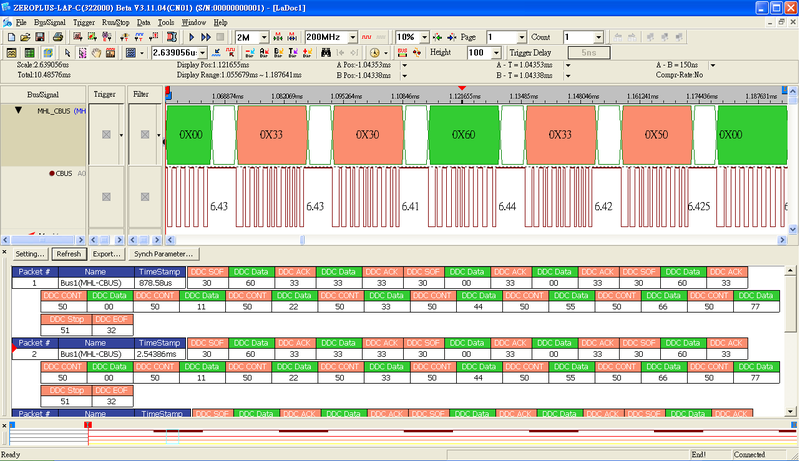 In DisplayPort 1.2, it is to establish a reliable high-speed data connection between display application and device; it can be used to find and configure many data streams and topology construction, and to control various display devices. HDMI CEC is one of selective specifications in HDMI specifications. It can be used to simplify the operation of the Digital Product, for example, a Remote Control can control all the products which support the HDMI. Nowadays, the CEC application can be seen on many different Brands, but the given names which are defined by different manufacturers are different, such as VIERA LINK of Panasonic, Anynet+ of Samsung, SIMPLINK of LG and BRAVIA SYNC of Sony; they all transmit data through the HDMI CEC. 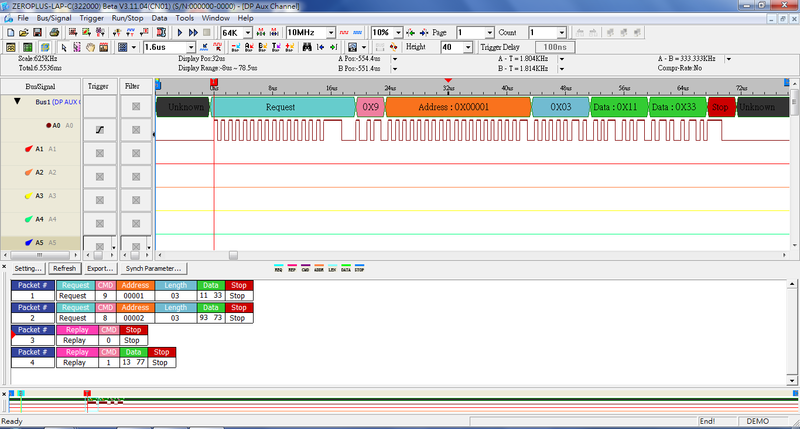 I2S is a digital audio signal. 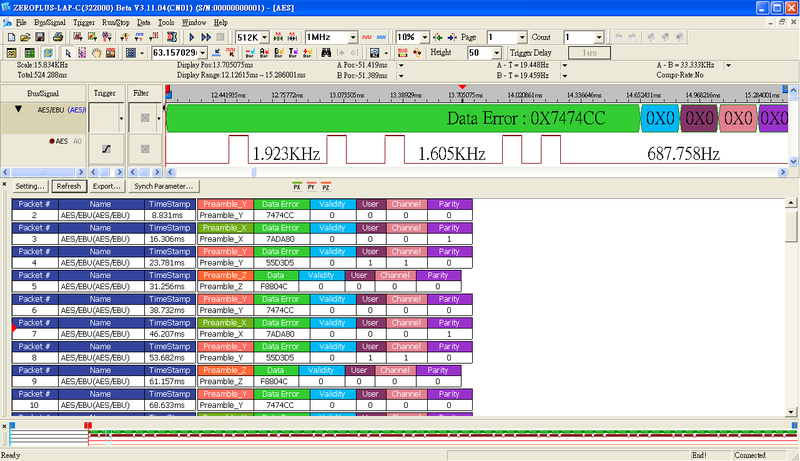 When engineers analyzed this signal, they had to depend on audio analyzer; however, it is uncertain that the general audio analyzer can support analyzing I2S; so when they analyzed the signal and data, they had to code through counting waveform so that they could look for the problem, obviously, the process takes too much time. MHL( is a mobile high-definition link) interface was first launched by Silicon Image. Its pin quantity is similar with that of s interface is similar to the pin number of Micro USB, but what makes it special is that it only needswith 3 terminals to, MHL can transmit 1,080p, 30 frames/s non-compressed video frame HD videoimages per 30 seconds. This is its biggest advantage. The CBUS Pin ison the MHL Bus is the control pin which can acquire the EDID (Extended Display Identification Data), detect the hot plug and control the consumer electronics(CEC), etc..signal that can be controlled by MHL-BUS, responsible for obtaining the extended display identification data(EDID), hot-plug detection and consumer electronics control(CEC),etc. MIDI(Musical Instrument Digital Interface) is an electronic communication protocol that meets industry standard. It is used to define various notes or play codes for electronic musical instruments and other playing devices(such as synthesizer), and allows electronic musical instruments, computers and other playing devices connecting, matching and synchronizing with each other and instantly exchanging playing data. CSI-2(Camera Serial Interface 2) is the camera workgroup under MIPI(Mobile Industry Processor Interface) specification. 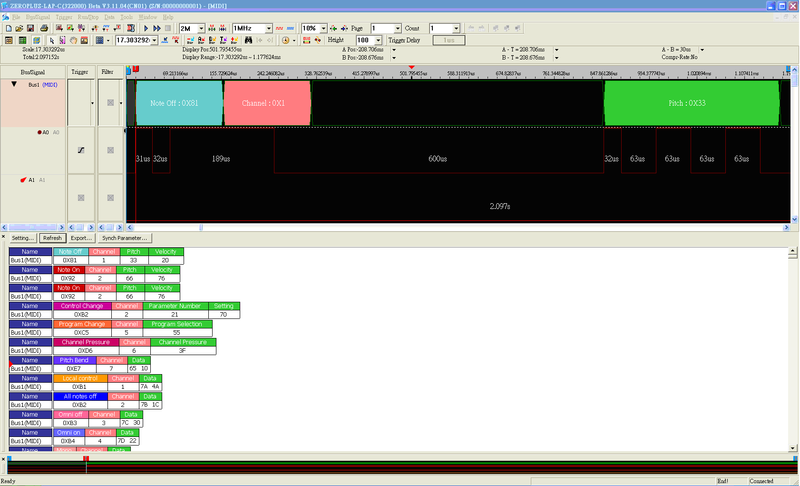 It consists of two groups of differential signal lines(Data and Clock), SCL and SDA. The communication interface composed by these six lines could provide a faster, better and low power consumption video solution for the new mobile industry processor. PCM(Pulse Code Modulation) can be divided into μ-low(mu low)and a-low according to the different mode of digital bit signal compression ,the μ-low is mainly supplied for America and Japan to use, but the a-low is used by Europe and other areas,it is responsible for dealing with digital bit message transmission. PSB Interface is one kind of Bus which is used in the Bluetooth earphone. It is mainly used in the button of Bluetooth earphone, such as answering the call, hanging up the telephone, controlling the volume of the sound and so on. what’s more, the function of selecting songs can also be realized according to the PSB Interface, when using the A2DP to play musics. S/PDIF (Sony/Philips Digital Interface) is a device interface, which is made by Sony and Philips in combination, you can find it using on some slap-up DVD player Sound, and even computer audio device. Use S/PDIF protocol to decode AES/EBU format. STBus (Serial Telecom BUS) is an important bus communication protocol in communication device interior, which is defined by ZARLINK Semiconductor according to the requirements of telecom application. It can make the different signals (Audio, Video, Control Packet and other serial signal exchange) receive or break, and make signals exchange at the same time, in order to make the data exchange between Host end and E1 circuitry more convenience.